Chris, thanks for the link. I saw some interesting stuff. the fuse is together now, this kit is really simple.I reposting my photos since they disappeared. Removed by original poster on 04/20/18 - 14:33:45 (GMT). 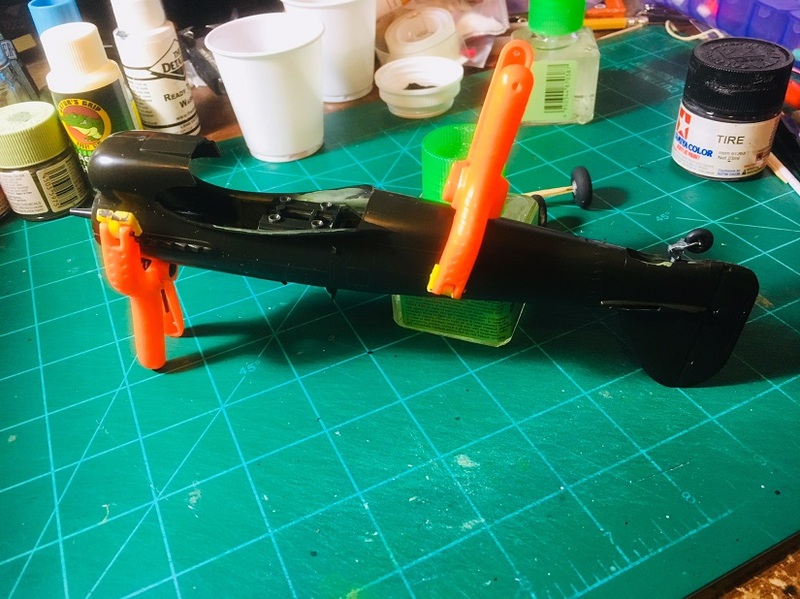 Got the parts of my 1/32 Special Hobby Tempest washed, I'm ready to get started! Mike, please let me know how that ICM kit fairs in assembly. I was thinking of buying the same kit. Michael, I love your builds but cannot see how you find the space for those monsters. I my self give my builds away for the same reasons. Will do Bob. 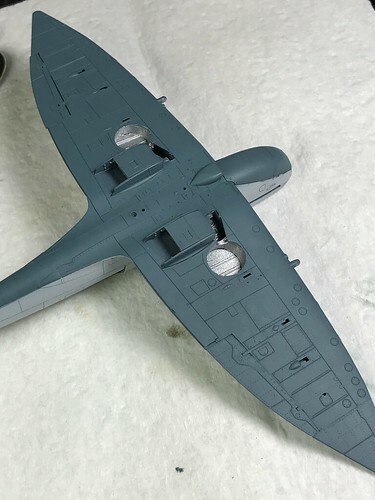 I had been wanting a Spitfire for some time (1/48) and it seemed to me that a great majority of reviews and articles pointed, oddly enough, to the ICM Mk. IX. There is flash on some of the parts (no big deal), but so far the seams are equal (the mold halves were aligned, just a small seam). The only negative I've found looking at the parts is a deep sink mark between the tire and hub on one wheel. I've ordered a set of Ultracast 4-spoke wheels as replacements. Mike, keen to see how the ICM Spitfire turns out. Have their MK.VIII and XVIe kits in my stash. 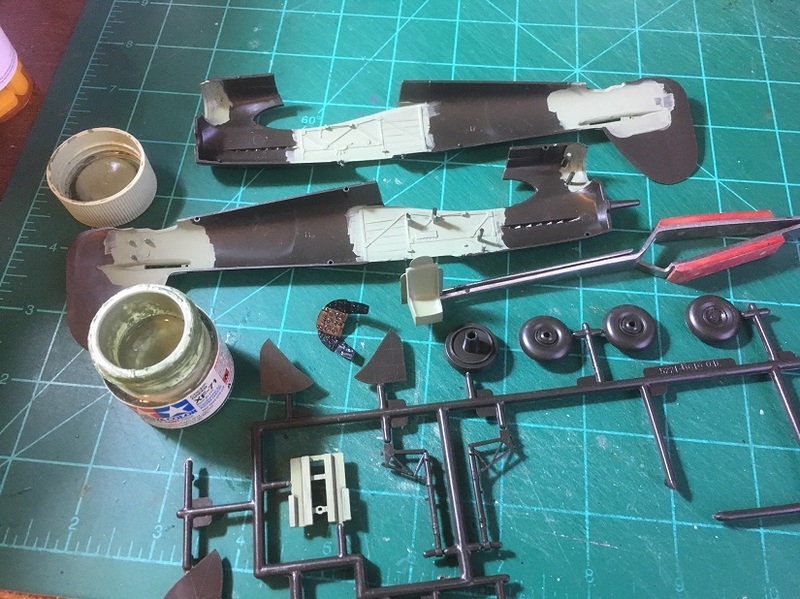 For my build I'll be doing the recent Airfix Jet Provost. I bought a few of these fairly cheap recently, so a great excuse to do something form the Xtradecal sheet. Thinking of finishing it as the camouflaged JP4 from 79 Sqn based at RAF Brawdy. Stephen, will you use the all red/orange scheme? It looks really good. I saw a Provost up close back in the 1980'S at an airshow on this side of the pond. I did not have a camera with me so no photos (bummer)..
Wow! I never knew they had displayed them in the States. That's a long way for a little jet to fly! I wouldn't rule out that one. I have three of these starter kits and a couple of the regular issues. One will be done in the Red Pelicans team colours on the box art and the others from this sheet. 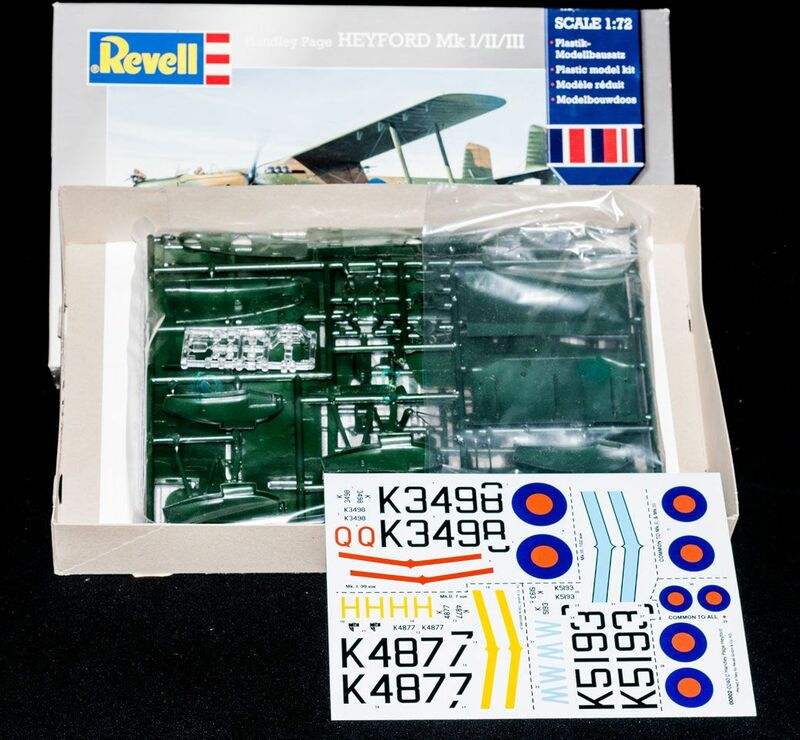 My long term plan is to build a collection of RAF post war trainers and we're seeing a lot of very good kits of most types issued recently. 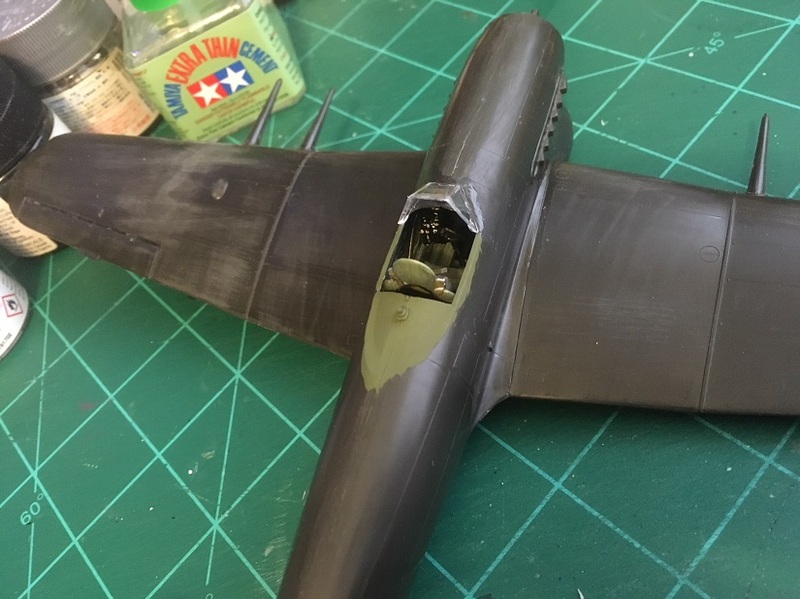 Question: On the spitfire - are the holes under the inboard flaps supposed to open up into the interior of the fuselage? Seems strange that you can see up into the body of the model and that there are no interior ribs or bracing details there. The only reference photo I could find of that area had the flaps closed. This is my project for the campaign. This model was originaly released by Matchbox so a little lite on details. M. Douglas, let me know how the Mosquito assembles please. 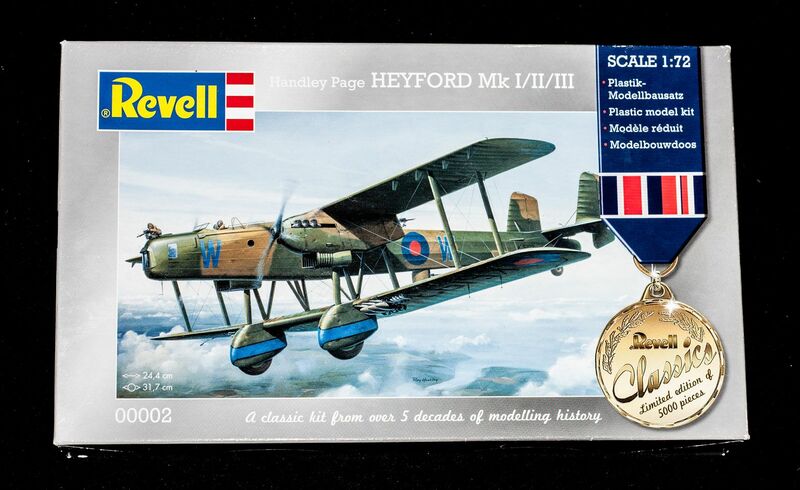 Richard, I did not know there was a kit for the Heyford. Cannot wait to see yalls progress. A fair amount of flash on the lower part of the frame which wasn't difficult to remove. Seam lines on the three frame parts, but again, easy clean up. The frame pieces are glued together, but not glued the the "bulkhead" as I'll need to hit them with the proper color then detail paint all the doo-dads on the bulkhead. Found a nice sink mark on two of the props, but they are in a spot that's easy to fill with Squadron Green. So far? Somewhat fiddly, but I don't think I've done a plane that wasn't. 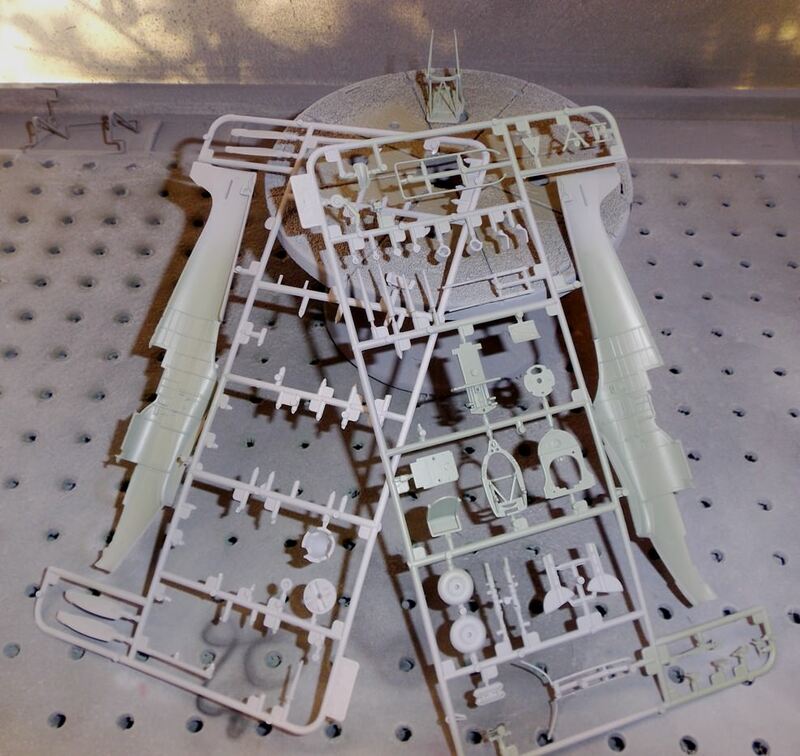 I've build ICM kits before, so this one is not a surprise nor is it difficult (yet?). 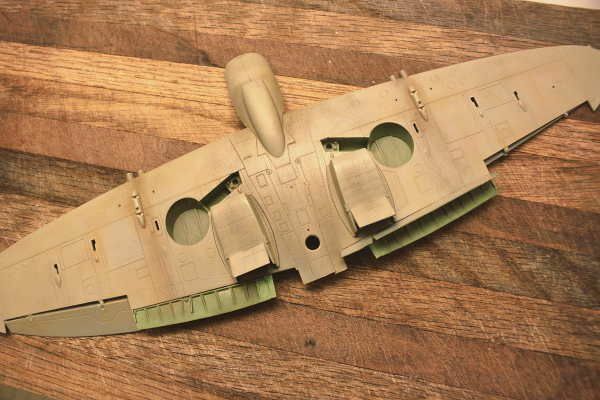 Interior paint to a lot of the parts. I'm using the Hataka Royal Air Force paint set HTK-AS07. 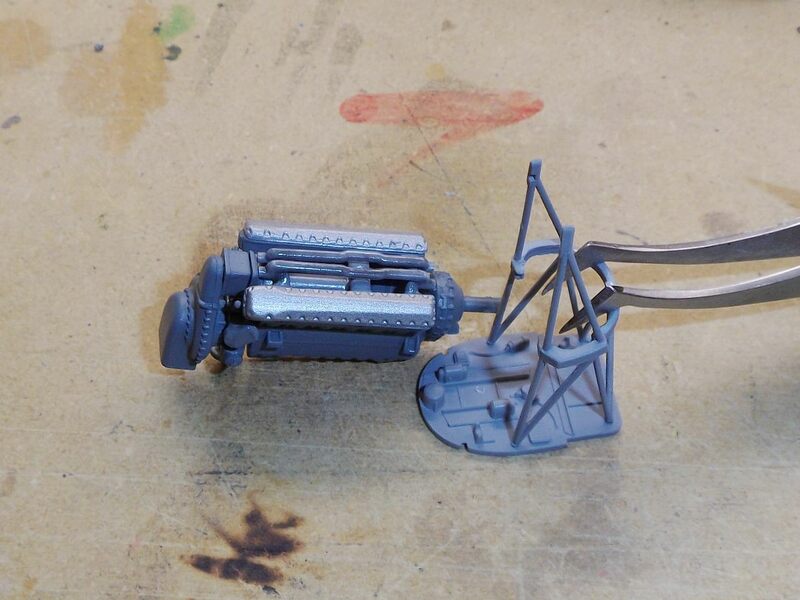 It does need thinning for the airbrush. The color shot was Interior Gray-Green. Haven't started yet, and I'm already considering changing streams in the middle of the stream. But in either case, it'll be a post war jet. I'm wondering what the proper color for a post war RAF cockpit is? Somewhere I picked up that it should be medium sea gray (grey?) like Humbrol 165. Is that a good match or were they off? OK! Mark, what are you thinking of changing your entry to? It's going to depend on the aircraft you're building, but most in that period were black. A few exceptions like the Buccaneer had dark blue-grey. Can't think of what match to humbrol off the top of my head, sorry. I decided to take a drastic turn. I recently fell in love with a photo of a high-altitude Spitfire interceptor; Grey over PRU Blue. 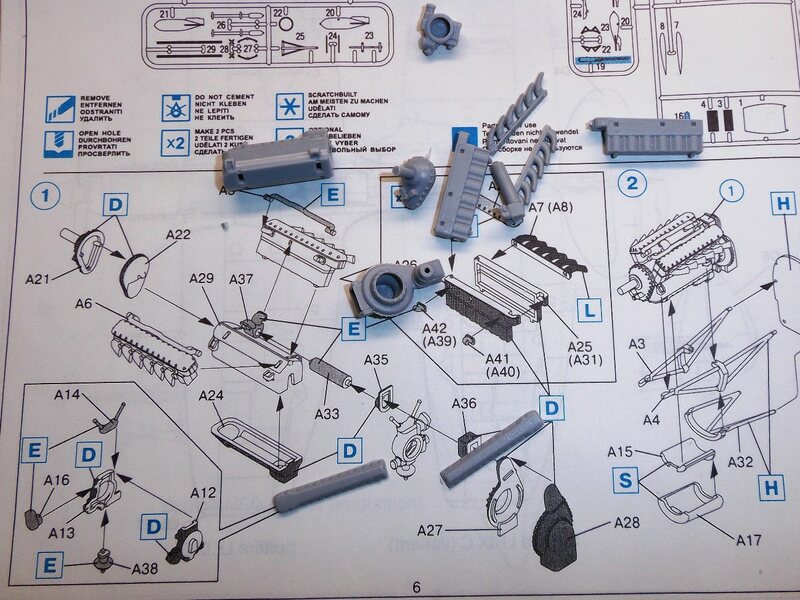 This Eduard kit has most of the parts needed, with the exception of the larger air intake. So I'm doing it. 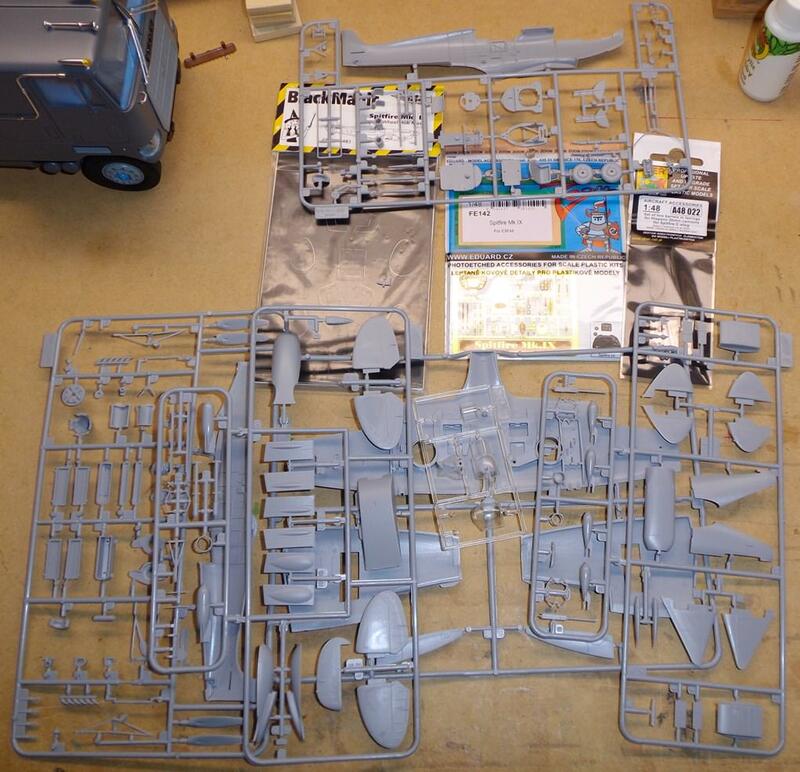 @Bob, I'm sorely tempted to do the 1/144 HK Gloster Meteor Mk IV instead of the 1/72 Matchbox Buccaneer. 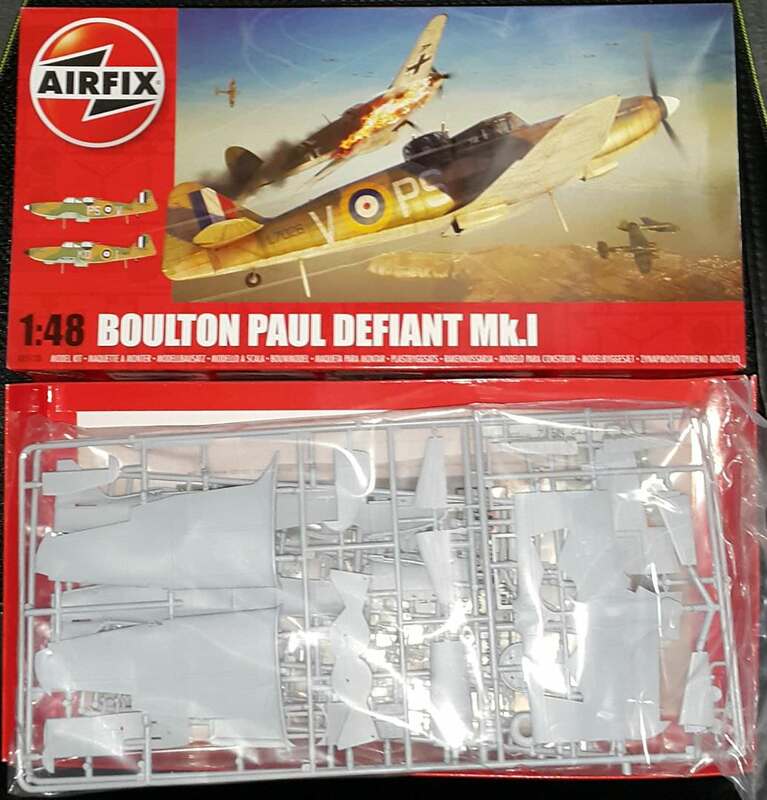 I'll be joining in with the Airfix 1/48 Defiant Mk.1. 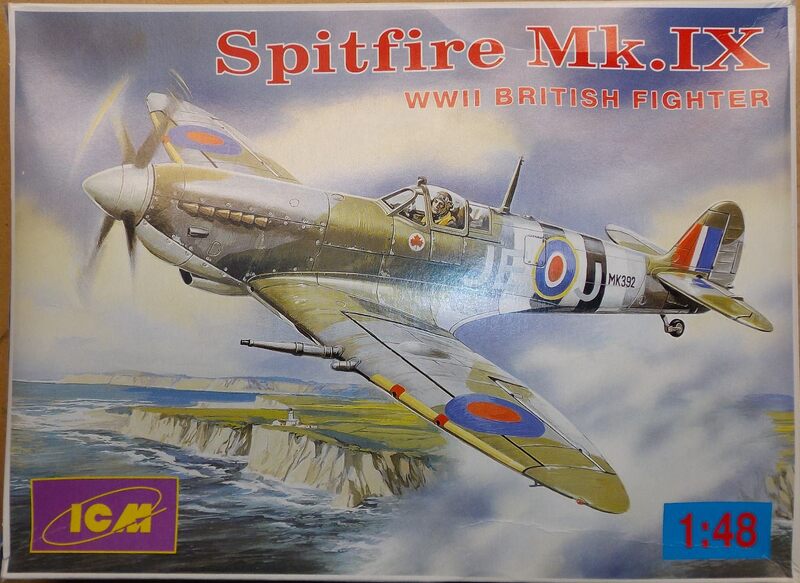 It will be my first Airfix kit in a good many years. michael, i am no expert on spits but i would think that area would need to be blocked off. large quantities of air would flow in and i would think affect aero dynamics at the least. I will show a photo as soon as the model gets to the point where I can pose one but to my mind I feel as you do. Felt that this just did not look right! The air turbulence up thru the air frame would be detrimental. Now the question is how to properly enclose these? As I say so far the only reference photos I can find show the flaps in the closed position.